When zippers were not invented it was very difficult to produce decorative and fashionable garments or other appliance. Zippers are very important and interesting closures for garment openings. They generally have two rows of interlocking tooth-like elements which may be drawn closed by a sliding element or slider. Zippers are very user-friendly and may be closed or opened quickly and easily. 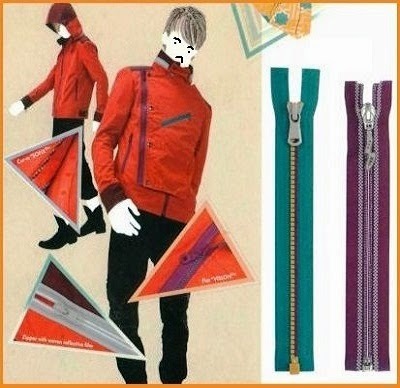 It is the reason why zippers have become so popular. In addition to comfort in use, they offer aesthetic value to the garment by the decorative pulls, colorful tapes, and chains. YKK is one of the largest zipper manufacturers in the world and produces thousands of zipper styles with hundreds of colors. YKK doing business by setting up zipper industry in the several places of the world to meet apparel industries demand. Talon Zipper: Meadville, USA based Talon zippers and Fasteners, established in 1893 was the inventor of the zipper and many other fastening items. They were the first zipper manufacturing company who produced hook less fasteners for boots and shoes. 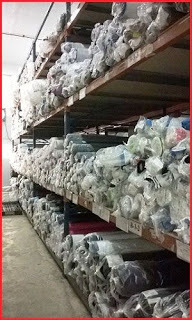 Talon is a high-quality zipper manufacturer that delivers superior service and value to their consumers. Talon has a long heritage of producing high-quality zipper. But, recently Talon merged with Pacific zipper Inc due to bankruptcy which named to Talon International Inc. This brand has enlarged its manufacturing and delivery capacity throughout Asia Pacific. Talon has always walked through the unconventional road. Since its inception in 1893, Talon has transformed itself and the industries it operates with unparalleled service and dedication for perfection. Over the years, this commitment has driven Talon for a local accessories manufacturer to one of the biggest conglomerates in the world. IDEAL Zipper: Ideal is another leading zipper manufacturer in the world enjoying high credibility and confidence of the consumers. They have so far served more than a million of clients cordially in every year. Ideal Fastener was a company founded in 1936 in New York City which is the second largest zipper manufacturer in the world doing business worldwide. In the context of zipper technology, Ideal is producing zippers for several applications such as apparel, home furnishings, backpacks/ luggage, automotive seating, furniture, military uniforms, work wear etc. Ideal owns and operates seven large factories worldwide (over 2 million square feet of manufacturing space) that delivers finer service and value. Ideal has enlarged its global facilities vastly to cope up with the effective business strategy. Ideal is the market leader concerning compliance and efficiency, driven by the determination to achieve global excellence and goodwill. Ideal has carved its place in the trims manufacturing sector by introducing trendy and lucrative items. Ideal has consistently provided world class accessories items to its clients and assures a long lasting outcome for their investment. YKK Zipper: Tadao Yoshida established YKK in Higashi Nihonbashi, Tokyo in January 1934. The company is growing up by adding new products, innovations, research, and development. YKK is the number one largest zipper manufacturer in the world; this company is an expert in production and marketing of other fastening products like snaps and buttons, webbing, hook & loop, self-closing tape fastening systems, and metal and plastic notions including clips and buckles. YKK also produces aluminum building products for home appliances. Today, YKK Corporation manufactures fasteners and architectural products at 109 affiliated companies in more than 71 countries, with 39,000 employees what delivers better service and value to their consumers. YKK operates to a global specification for their products, and a central team continually audits quality. Their products are internationally recognized for consistency, quality, and durability. Moreover, their products are effectual in the most desired applications. YKK focused on this theme with the aim to bring focus on how such important innovations have enabled to enjoy many significant benefits, both in the global context and in other daily lives. YKK have always been proud to be a technology-enabled company driven by its people. They always welcome new ideas and inventions with potentials not only for better business but also to enrich the lives of all other stakeholders. Once a small trim producer, YKK redefined the accessories market with an exuberant range of products. Backed by unparalleled quality and dedication, YKK has swiftly turned into the number one trims and accessories solution in the world. The same degree of energy and enthusiasm has elevated other items in the accessories family like Zippers, Hook & Loop, buttons, eyelets, aluminum bar, Plastic Parts like buckles, stopper, and zipper puller etc. items as the first choice of manufacturers at home and abroad. 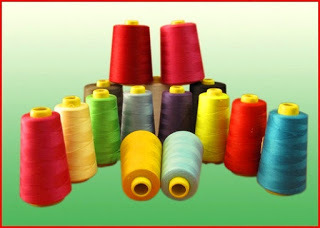 Beside this, regionally or globally many other renowned zipper industries like SBS zipper, Neo zipper, HHH zipper, Edicate zipper, Riri zipper & FBN zipper manufacturers are well known for zipper mechanisms and gained customers satisfaction through superior quality, value, and quicker delivery.